Prime Minister and Minister of Finance, Dr the Hon. Timothy Harris, has announced that pay outs of the highly anticipated $500 monthly support through Team Unity Administration’s Poverty Alleviation Programme will begin in November. 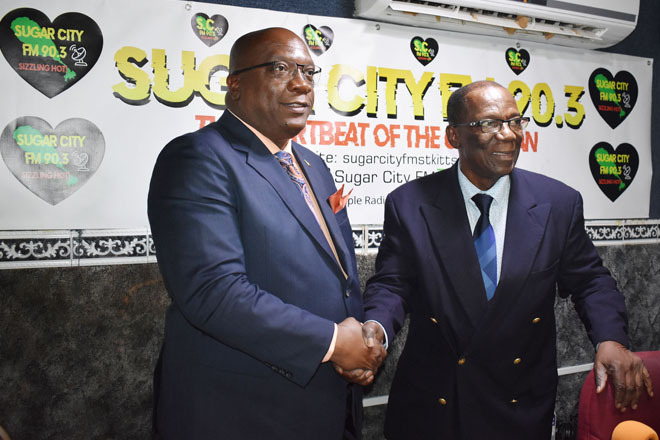 Prime Minister Harris made the announcement on Friday October 12th as a guest on the People’s Voice programme on Sugar City 90.3FM hosted by his Excellency Ambassador Michael Powell. Giving an update on the Poverty Alleviation programme, Prime Minister Harris said the collection of data has been completed and the relevant people at the Statistics Department and Social Development are doing the necessary verification, to ensure that the programme is not being exploited – to ensure that only those who genuinely qualified are in fact on the roll for the pay out of these monies. The Prime Minister advised that the view given to him was that before the end of this month, October, his administration will be able to come back to say that of all the thousands of persons who have applied, that a particular number would have satisfied the criteria that was established. The administration would as result, in November, begin to pay persons the $500 stipend as promised.